Hollywood actress Jessica Chastain insisted on Tuesday that it takes months to obtain an X-ray in America, compared to minutes to purchase an AR-15. 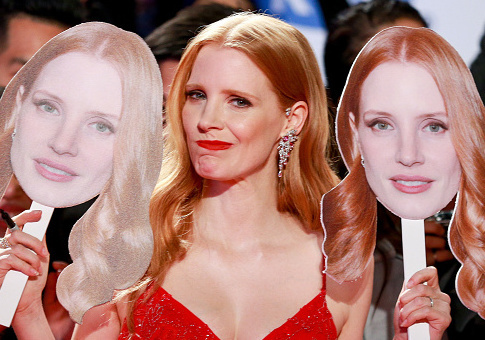 Chastain is known for her roles in Zero Dark Thirty, Interstellar, and The Martian. In a tweet on Tuesday, she included the handle for her less popular pro-gun control movie Miss Sloane, which in December 2016 had one of the worst opening weekends of all-time. Welcome to America, where you'll wait 6 months for an X-ray but hey, you can buy an AR-15 in 5 minutes flat. Chastain was mocked by others, who noted that she clearly did not know how long it took to obtain an X-ray or a gun. This entry was posted in Culture, Politics and tagged Gun Control, Health Care, Jessica Chastain. Bookmark the permalink.